Looking for the best resume templates on the interwebz? You’ve come to the right place: we’ve compiled a list of templates that will work for you both on a resume and a CV. What makes a great resume template? Easy for recruiters to read. Neatly organized into resume sections. Designed making optimal use of white space. Formatted to prioritize important information. Able to fit all relevant information neatly. Paired with a matching cover letter template. These criteria build a professional resume that gets hiring managers’ attention and lands you more job interviews. And all our resume and CV template examples on this list meet and exceed these requirements. Plus, each of the templates included give you over 400 color combinations to choose from. 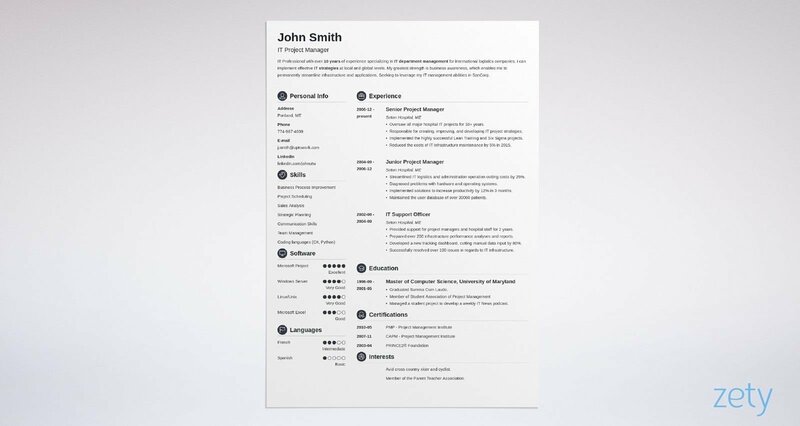 Cubic is a quality resume template which is a fan-favorite here at Zety, and it isn’t hard to see why. It’s easy for HR managers to quickly scan. And, the three-toned background doesn’t overdo it like many other resume templates available online. The full-width header area is reserved for your name and title only, so your professional info is sure to stand out. The right-hand sidebar lets you maximize the use of space by giving you a dedicated area to place shorter text strings. This two-column design lets you fit up to 30% more text on one page than in a regular resume written in a text editor. Finally, filled-in circles for your languages and skills allow you to showcase your knowledge and abilities in style. Definitely one of the best CV templates out there! Newcast is an updated take on the traditional resume—with our simple redesign, you can be sure you’ll have the best resume template in the pile. This one-column basic resume template makes it easy for recruiters to scan your CV by highlighting section headings with unique icons of your choice. And, the full-width layout gives you plenty of room to make your pitch in your resume summary or resume objective. Finally, bar graphs visualize your hard and soft skills to give the recruiter a nudge in the right direction. Diamond is not just one of the best resume template examples—it’s also one of our most creative CV templates. As the name implies, diamonds accentuate key areas: section headings, skill levels, and bullet points for your work history area. Hiring managers get a breath of fresh air when they get to your resume, with its classic resume top-down format. Apart from being one of the best resume templates for college students and interns, this CV layout is also a hit with accounting and legal professionals. A one page resume template is not enough for you? Keep that timeline style going by adding a second page. 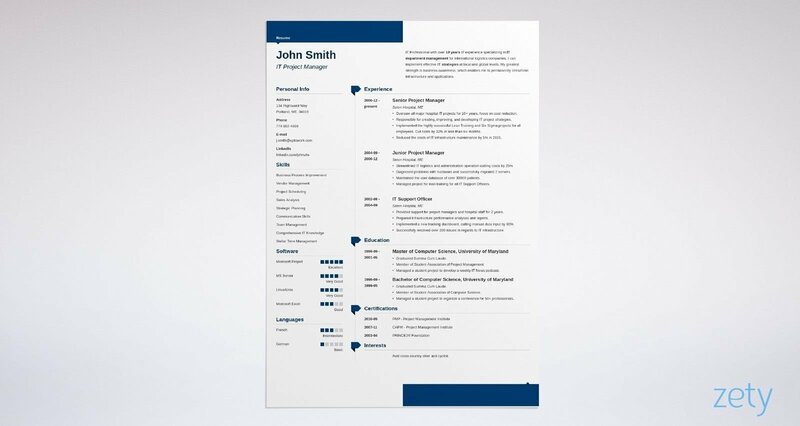 Forget wasting time in Google Docs or Microsoft Office trying to make something half this good—you can edit and download this great resume template and a paired cover letter template from our builder in minutes! Enfold is a perfect resume template for candidates looking to separate their long-form and short-form texts. Also, the right-hand sidebar puts your name and address on the resume with clearly-labeled headings. Below that, you have plenty of room to list communication skills, technical skills, and other relevant skills—all in bar graph form. The resume languages section gets the same conspicuous treatment. On the left, the personal statement gets first dibs at grabbing the recruiter’s attention. Below that, you’ll have plenty of room to highlight your relevant work experience, job titles, education, and certifications. This two-column resume template also lets you include more info on one page than you could with an ordinary resume written in Word or Google Docs. 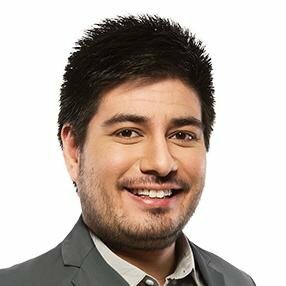 Pro Tip: Looking for free resume templates? Remember, sometimes you do get what you pay for. Free resume templates, whether for Adobe Photoshop or MS Word, aren’t necessarily compatible with ATS software—and that will kill your chances of getting an interview invite. You’ve been warned! With a name like “Vibes,” you know it’s inspired. This unique resume template has some of the most creative features out on the resume-writing market. You start off with a full-width header for your name, title, and personal statement. Then, it splits itself into a two-column layout. The left-hand sidebar promotes your skills section and achievements as a bar graph. Square icons make it easy for the hiring manager to scan. 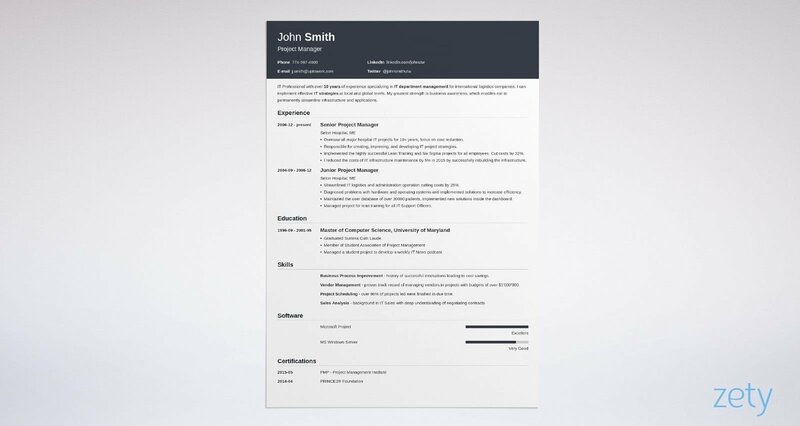 No need to tinker with Microsoft Office for hours with this template—easily create a one or two-page resume template in minutes with our resume builder. You'll be certain to get the interview for your dream job with this great resume template! The Muse is a popular resume template for anyone, but particularly those who lead teams or work with information. The two-column layout here offers plenty of white space to draw the eye of the reader. The right-hand sidebar talks up your specific skills in block format, and the right side has some handy little arrow ribbons to point recruiters to each resume section you include. Don’t search for hours on Etsy trying to find an executive CV template. A first-class resume template is just around the corner. Looking to write a chronological resume that puts things in perspective? The Concept is the best resume template for you. It’s got some infographic resume features combined with a traditional layout for one of our most innovative resume templates yet. This great resume template leaves a thin sidebar to the left vacant for all but the important dates for a simple timeline resume. That sidebar’s color also becomes the accent color for the heading areas on the right. Whether you’re making a career change or writing an executive resume, this great CV template gets the job done. 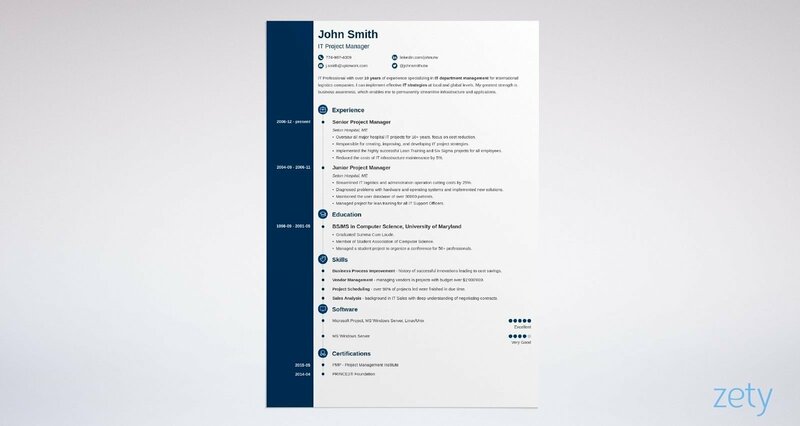 If you’re looking for good resume templates that make great first impressions, you’ll be happily surprised with our Crisp layout. Like the Muse, it has a left-hand sidebar for you to document short text fields, like your contact info, skills, languages, or hobbies and interests. A full-width header area gives your career objective or summary statement extra space to make your quick pitch. In the main body area on your right, let your mouse cursor run wild with longer text, such as employment history, education resume section, or certifications. 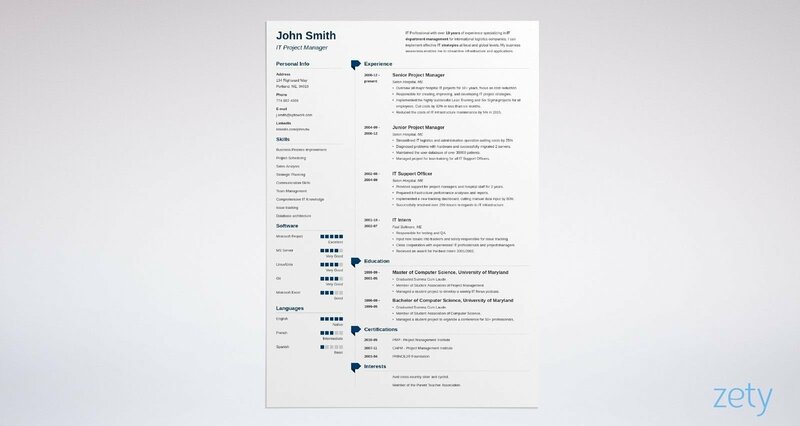 This minimalist resume template has a white background, black text, and an accent color of your choice. Or reverse that, if you wish, with hundreds of color combinations to choose from. Pro Tip: Be careful before deciding to use infographic resume templates. Infographics are fun, creative, and modern resume templates, but those images will confuse both ATS software and recruiters who are usually very busy. Want a perfect business resume template? Look no further. The Influx CV design is a favorite amongst general business owners, blue-collar workers, marketing candidates, and those in finance. We recommend it for corporate positions, whether on a US resume or a European CV. Your name, branding statement, and contact information are placed neatly in the top fifth in a color of your choice. Below that, the one-column resume layout offers plenty of space to talk up your experience and achievements. Your potential employers will love this resume format for the clean, easy-to-read design. A block rating system visualizes your language proficiency and skill levels. Ribbon-style arrows precede each subheading to draw the HR manager’s eye to the section they need. 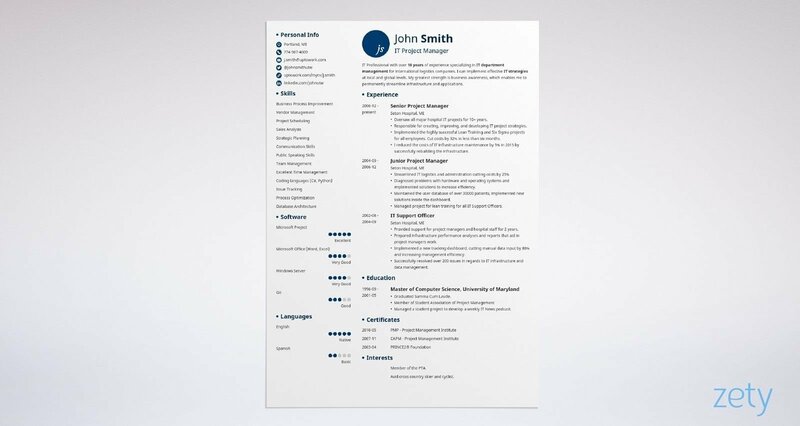 Finally, this superb resume template offers a clean design throughout with lots of color combinations to accent it with. Customize this one now in our resume builder, download it in minutes, and get your job search behind you with a perfect template that showcases all your professional strengths. Of course, a matching cover letter template is available, too. Iconic is one of the top resume templates for those in creative fields and engineering alike, and it isn’t difficult to see why. Don’t look on Hloom for a professional CV template when the perfect layout is right here on Zety. This minimalist resume template is designed like a resume outline, making it easy for you to get your information in order. It has plenty of white space for your work to stand out. Section headings get help from customized icons to guide the HR manager’s eye. With plenty of icons and over 10 of the best resume fonts to choose from, this one immediately takes its place among the most excellent resume templates on the market. Our Simple is a simple resume template, sure. And yet, it’s so much more. This one is perfect for job hunting, no matter which rung of that career ladder you’re on. The top area starts the resume with a full-width treatment, giving you plenty of space to write your career goals or CV summary. Then, it splits into two columns, with one-third on the left and the rest on the right, for longer text. Choose from hundreds of resume color options to truly make this high-quality resume template unique. Simply one of the best templates for resumes you’ll find! Pro Tip: For most resume formats, you don’t need to include social media links. However, include a link to your LinkedIn profile. LinkedIn is super important when job hunting, so don’t forget it! Looking for nice resume templates that let the dates on your CV stand out? Initials is the one for you. Sure, it gets it name from the bubble next to your name where your initials will go, but people love it for showcasing a long, storied work history. It’s two columns, but the right column seems to have a mini-column of its own—that dedicated space easily allows the hiring manager or agency director to scan down into your vocational past. Same goes for education, certifications, and other sections where dates are involved. 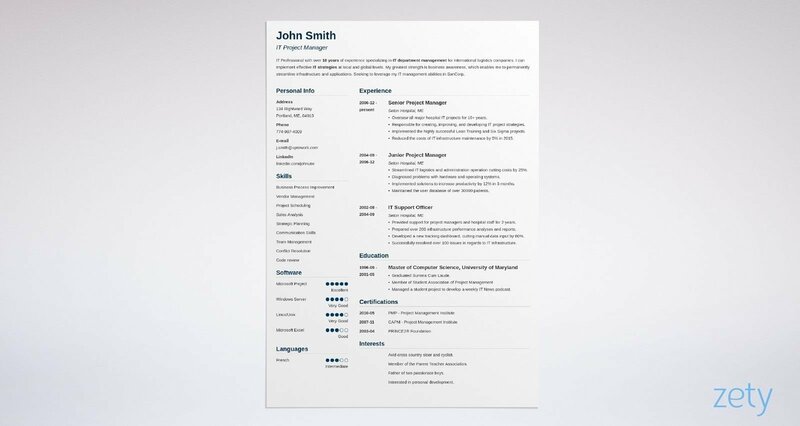 Ace your job application with this perfect resume template. Last, but certainly not least, Cascade—one of the best professional resume templates available online. Cascade is a creative and modern CV template which is perfect for IT professionals, champions of education, and job seekers in creative industries. On the left, an innovative bar graph explains your skills and language knowledge below your contact info. Subtle shading differences in the color of your choice really make that sidebar pop. Thanks to two columns, you’ve got plenty of real estate to talk up your job history, education, volunteer experience, and more. Hundreds of color combinations make this the perfect CV template and an instant hit. There are a lot of low-quality, poorly-designed, and inefficient resume templates out there. Don’t pick the wrong one. Choose a professional resume layout which makes it easy for the recruiter to read. Pick good CV templates which go light on graphics to play nice with the ATS. Organize your information into neat resume sections with clear headings. Make good use of white space for the best layout and legibility. Prioritize the important and most relevant information at the top of your CV template. Remember: the contents of your resume or CV matter more than the design. With the help of our guides, you’ll know how to write a resume and how to make a CV in no time! Don’t forget to pair it with a matching a cover letter! Do you have any questions on how to choose the best resume template? Not sure if your resume or CV template is best for your situation? Give us a shout in the comments below and we will answer your question. Thanks for reading!